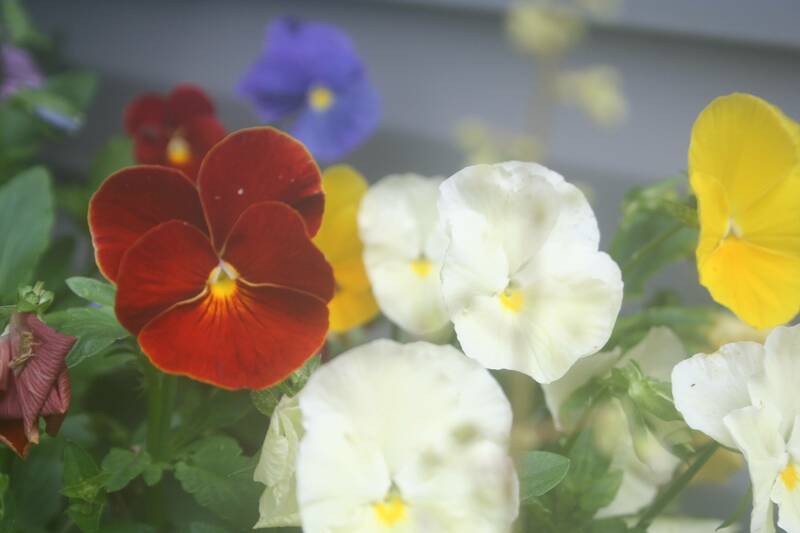 For instant spring, plant some pansies. Garden centers are full of them now. Clean up the gardens you can reach easily. You don’t want to be tramping around the yard too much (something I’ve been guilty of already this year). And you absolutely do not want to rake — let the soil firm up and dry out. But, if you can reach a bed from the sidewalk or other terra firma, clean up spent perennials and uncover any of those plants that want to grow. Buy some pansies! If you think you have been anxious to get out in the garden, imagine how nursery and garden center owners feel. Many garden centers will be open for the first time this weekend. Visit them, enjoy the beautiful plants they have in their greenhouses and buy some pansies to pot up for instant spring. Plant a little lettuce. I’ve started some lettuce indoors and those plants have been moved to pots and put on the front porch. But it should be warm enough now to plant out lettuce or even start some from seed. Hold off on tomatoes or any warm weather crops. Prune Annabelle hydrangeas and other plants that bloom on new growth. Hold off on pruning lilacs and other spring-flowering shrubs until after they bloom. Build a raised bed. Easiest garden project ever. I’ve built several and have a new one in the garage ready to go out to the vegetable area in the next week or so. (If you want to get really fancy, check out my brother-in-law’s deck garden.) You can fill your bed with compost and soil to create a fabulous environment for vegetables. What will you be doing this beautiful weekend?